Ben Affleck is the new Batman? 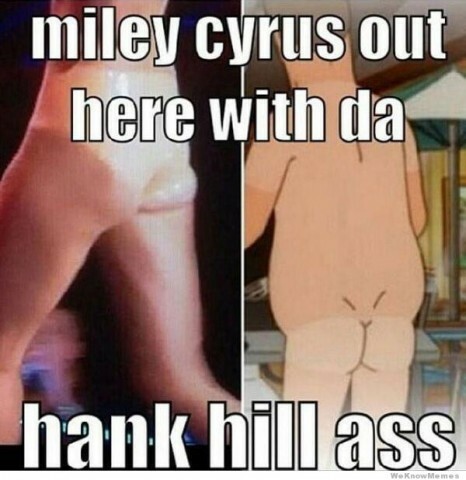 Miley Cyrus twerking? Is this really what’s trending? Is this what motivates people? The coverage of these celebrity incidences is clearly excessive. 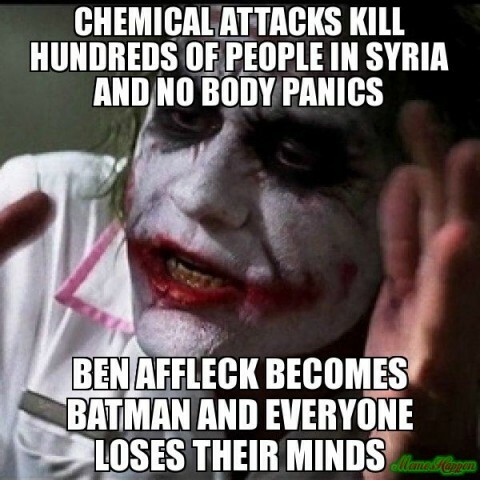 It seems as though people are gossiping more about television, pop culture and sexual exploitation than the chemical attacks killing hundreds of people and the Obama Administration preparing to attack Syria. Isn’t the possibility of a world war 3 just a bit more important than who is being glorified in front of the camera? If the celebrity announcements were designed to be a distraction, then making Ben Affleck the new Batman sure got a lot of people’s attention. 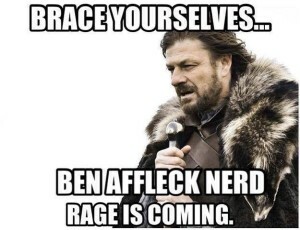 Did they choose Ben Affleck for the part specifically to drive all the geeks crazy? And for others, Miley Cyrus’ twerking seems to be working to get their thoughts, words, and actions away from what really matters and focused on useless trivia. Google Trends shows far more searches for Ben Affleck and Miley Cyrus than Syria News.